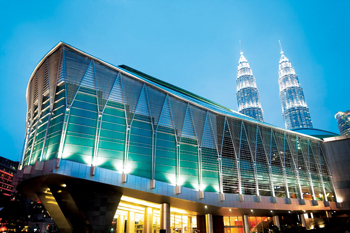 The Kuala Lumpur Convention Centre was acknowledged as the best conference facility in Asia Pacific, at the inaugural Asia Pacific MICE Awards 2015 at the MICE Asia Pacific Exhibition 2015 held in Singapore this September. The Kuala Lumpur Convention Centre has been honoured with the ‘Best MICE Experience’ award for the second consecutive year in Expatriate Lifestyle magazine’s Best of Malaysia Awards 2015. In addition to the ‘Best MICE Experience’ award, the centre also picked up two other awards in the third-quarter (2015) –the inaugural Asia Pacific MICE Awards 2015 for Best Conference Venue and its first International Association of Convention Centres (AIPC) Innovation Award 2015 for TenOnCall (TOC). The popularity of TOC has also grown significantly, registering a 357 per cent and 343 per cent increase in events held and attendance numbers respectively, since its first full-year of operation in 2009 and last year.